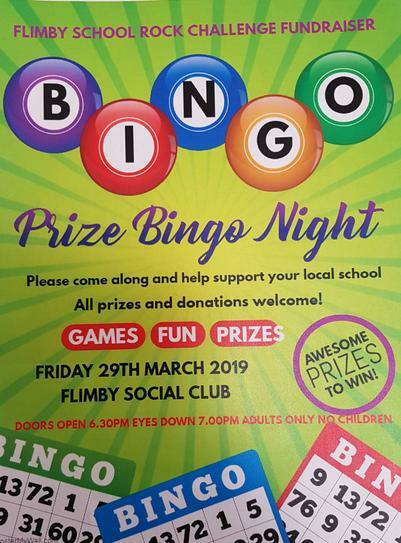 Flimby Social Club will host a Prize Bingo Night on Friday 29th March. Doors open at 6:30pm eyes down at 7:00pm. 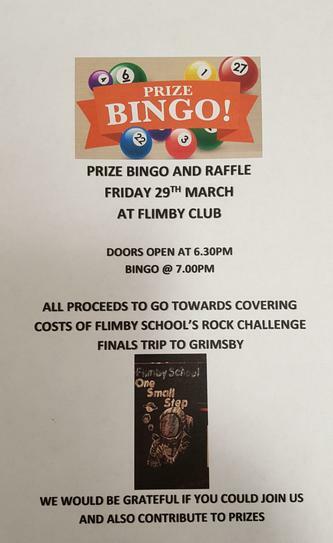 All proceeds will go towards sending 57 of our KS2 children to the Rock Challenge and J Rock Finals in Grimsby. Please come along and support us! !